I used to know a guy who called air fresheners and the like, "smellum goods". Last night after coming back to the truck from the Appreciation Days event, I didn't like the way the truck smelled, so I needed to use one of my smellum goods to get the place up to my standards. So I pulled out my favorite air freshner of all time and put it to work - my Lemon Verbena Soy Candle. This candle can be found at Target for $9.99. I love it. When I got home from the Appreciation Days event, I smelled a little like smoke. There was no smoking in the event tent, but of course there are always those people who can't function without a cigarette, so they stand in the openings of the tent (or building, doorway, etc.) blowing their filthy disgusting scent in the direction of others. The lemon verbena made me forget all about those nasty odors. 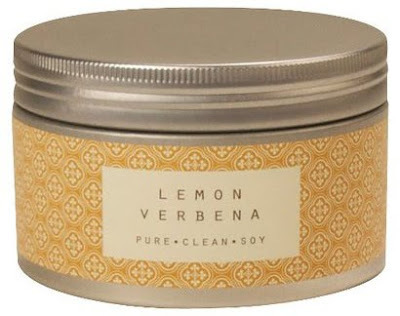 I first discovered Lemon Verbena when I was working at a Sheraton resort and a guest bought me several candles as a gift - it's been my favorite scent since. It's light, fresh and delicious! My next clean-air trick is a spritz of air freshening spray. This comes in handy for certain situations - cooking smells, nasty outside odors seeping in, after visits to the loo. "Loo" sounds so innocuous, doesn't it? Glade Clean Linen is something I use this in the truck and at home on a regular basis. To me, it smells like the air that comes out of the dryer hose - you know, when you're outside of your home or an apartment building or a laundromat. That fresh, hot linen smell? I love it. I'm not really a fan of smelly lotions for my body or hands, so I usually choose something that doesn't have a flowery or fruity scent. 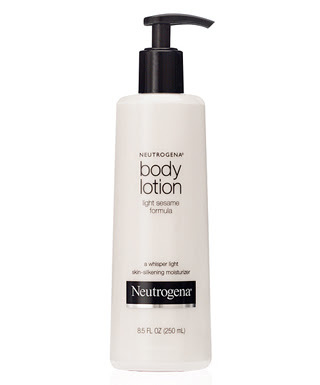 Two of my favorites are the Neutrogena Body Oil and Body Lotion. It's so light, with a scent that apparently comes from the sesame oil. Some people hate it, but ever since my sister-in-law turned me on to it, I'm in love. It doesn't compete with other scents and is whisper-light. I don't use the oil in the truck because it's best put on after a shower and I find in the small space, it's a little messy. But I always have a bottle of the lotion. Same thing goes for face washes - don't like heavy smells that linger. 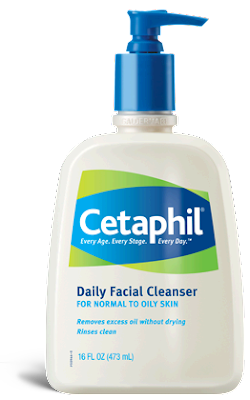 The one I use is Cetaphil Daily Facial Cleanser. This facial cleanser has such a fresh smell. And it leaves no residue. For me, it cleans off all my makeup and leaves my skin feeling soft and clean. I love the smell so much that I've begged and pleaded for Eddie to use it too, and he's finally given in. His cheeks are so squeaky clean, that I pepper them with kisses every time he slips into bed with a Cetaphil face! 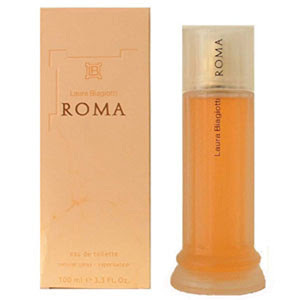 And last but not least, my personal fragrance, ROMA by Laura Biagiotti. This perfume is my signature scent. It was given to me almost fifteen years ago by a guest at the resort I worked at. I was a concierge at the time and had gone out of my way to take care of a few things for her and her husband. They lived in Milan, Italy and stayed at our resort often. The next time they came to town, she brought me this perfume as a thank you. I was reluctant at first to wear it, as perfume is a personal thing and I thought it odd to get it as a gift from someone who didn't know me that well, but it took no time at all for me to fall in love with it and I have received more compliments when wearing it than I have with any other perfume I've worn in my life; combined!! Complete strangers have stopped me to ask me what I'm wearing or to tell me how good I smell. In fact, one of the guys I used to work with said that he always knew when I had arrived for work because it smelled so great once I got there! Originally discontinued, it's now available online and at some perfume kiosks and stores in malls across the country! Since I have what Ed calls "the nose of a bloodhound", I am highly sensitive to smells I don't like. I'm also aware of wearing a scent or using a scent that someone else doesn't like. Since Ed is the only person I live with, he's the only one I really consult regarding smelly things. I always ask him if he prefers one scent over another (for instance, he hates the smell of coconut) and that's the one I'll usually buy. The smells above have been Ed Approved and since I already love them, it's a win-win. Interesting about the Roma. Perfume is so personal -- something that smells heavenly on someone else might not work with your own body chemistry. What a nice way to be gifted with a new favorite scent. I can see you as a concierge, but you're better in this iteration. Enjoy the weekend. Glad you are on the mend and hanging with some favorite folks. Right up your alley: Mrs. Meyer's Clean Day Lemon Verbena anything. Have been washing up with their hand soap (you can dilute it to stretch it), and it's lovely. Also dish soap and bathroom cleaner. Almost too strong, so dilute away. They make lavender and other lovely scents, but the Lemon Verbena rocks. This commercial brought to you by Belledog. Great encounter following going to this website a delicate pores and skin may not enjoy the benefits of the cream as well as notice a mild skin discomfort. The same thing goes for that greasy pores and skin because the cream consists of mineral oil, which might boost the greasy texture of the skin https://goo.gl/SAK3V7#Best_Hydroquinone_Face_Cream.